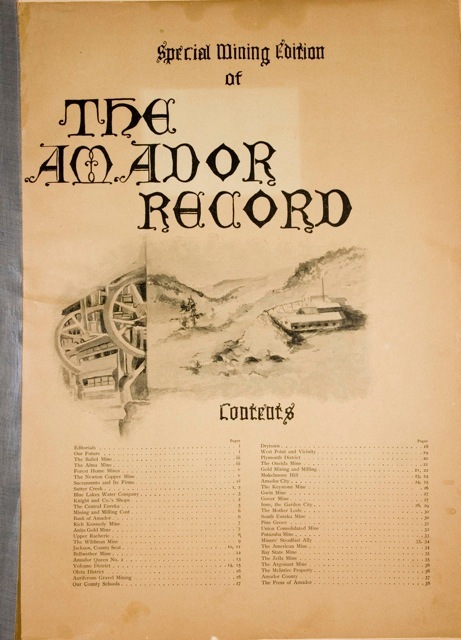 Reprints of the Amador Record "Special Mining Edition - 1897" are now available from the Amador County Historical Society. 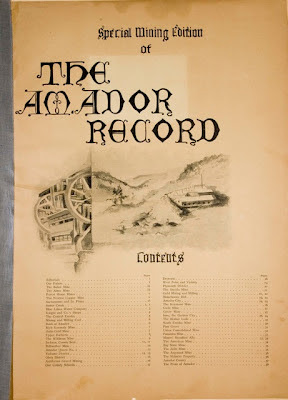 This Special Edition was made possible by the Ledger Dispatch and is being sold to support history projects in Amador County Copies are $20 and are sold at the Ledger Dispatch office and also online at the Historical Society's web site at www.AmadorCountyHistoricalSociety.com via PayPal. VIA CITIZEN REPORT: END OF THE LINE!!! The Demolition of the oldest part of the Depot is to Begin Saturday 8/11/2012 in the AM. The Martell Amador Central Railroad Depot in Martell is being torn down. Currently under ownership of Sierra Pacific Industries (SPI), The demolition began this morning with five workers. The dis-assembly of the building is being done so as to salvage as much lumber from the building as possible. The warehouse portion of the Depot came down first. 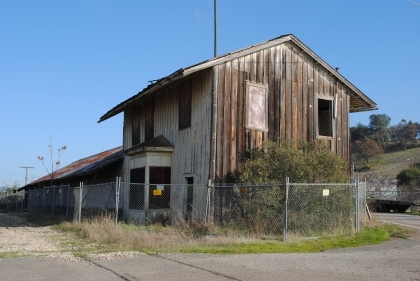 Built in 1905 and operated under the Eastern & Ione RR, Amador Central RR and the Foothill RR until about 2002, the building has been falling into disrepair. Once a predominant structure in Martell, It served freight and Passenger line service from the Jackson and Sutter Creek areas to the Ione Depot where passengers and freight were linked to the Central Pacific, Southern Pacific, and later the Union Pacific railways for destinations further down the line. It was through this station rescue teams from the east side of the Rockies traveled in a heroic attempt to save the 47 miners trapped in the Argonaut Mine disaster. The Amador Central Depot will be remembered for it's historical link from our Foothill homes and lumber mills to the Cities to the west. The historic Amador Central Rail line still exists between State Highway 88 at Ridge Road Near Martell to the Ione Depot. The line is owned and maintained by a partnership of the Amador County Historical Society and the Recreational Railroad Coalition and Historical Society. The Ione Depot is currently being rescued from demolition in Ione under the efforts of the City of Ione and the Amador County Historical Society.